Midpoint to Alexandra, Queenstown and Wanaka. Located on a quiet cul-de-sac opposite old Cromwell town. This 15year old, executive, 3 level home is perfectly suited for family vacations and/or a romantic week away. Fresh, clean, secure and very comfortable. This property is fully furnished and has all the amenities you would expect to find in a modern home. This also includes ALL linen, spa and BBQ grill and jetty. 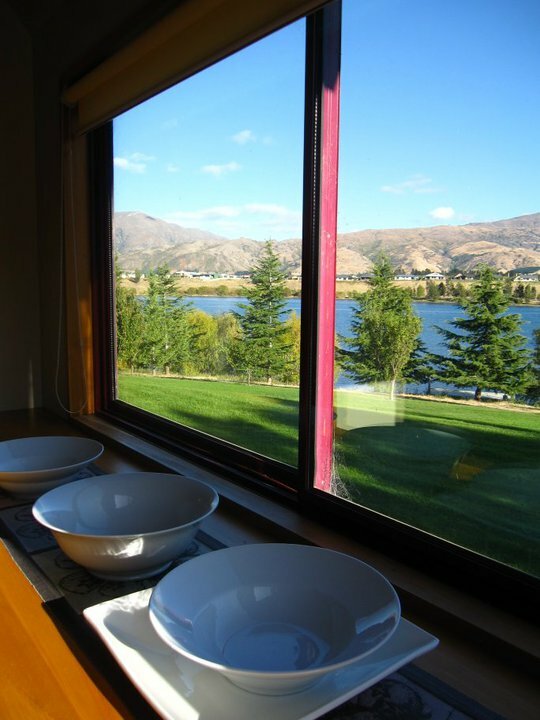 Master bedroom is on the top floor with king size bed and has an en suite and balcony with sweeping views towards the Remarkables. A spacious room with super king bed and one single on the main level with en suite. A second master bedroom with king size bed and one single on the ground floor has an en suite and walks out to the deck and spa area. The fourth bedroom has a queen size bed at basement level and has shower and bathroom adjacent to the bedroom. Full laundry facilities are in the garage. Full parking on the concrete U driveway for easy access to the house. 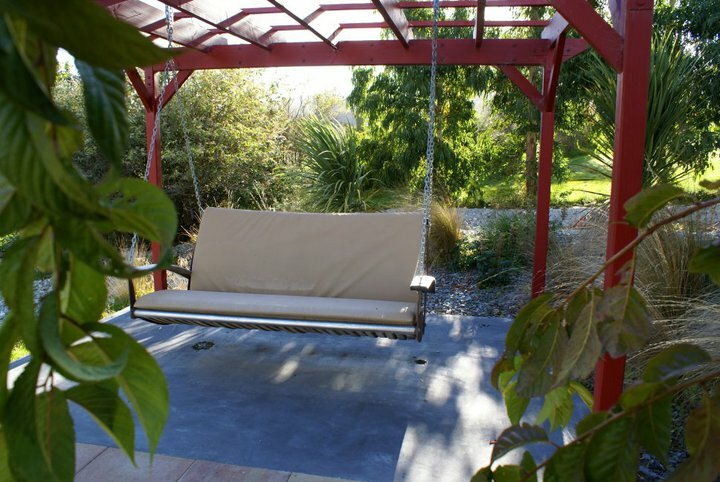 A well landscaped lawn and water feature gives you an atmosphere that is peaceful and relaxing. We have a small putting green and two sand traps to hone your skills before taking to the major events. 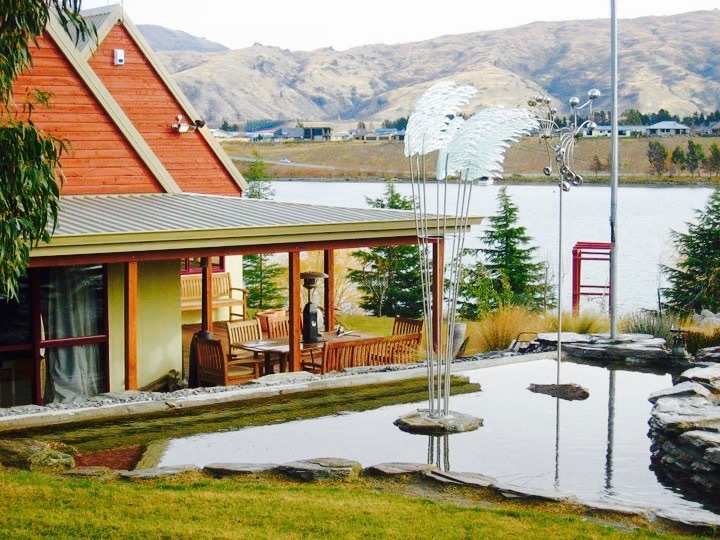 We are 12 kms from Cromwell by road – but 2 km by kayak or boat. We have a professional pool table and wrap around deck for entertaining friends and family. We are on a road that boasts some of the most successful Gold Medal wines, Bannock Brae, Akarua, Bald Hills, Felton Road-Cornish Point, Carrick, and Mount Difficulty. Numerous cafes and restaurants within 10 minutes of the house. Cromwell has the Highland Motor Sport Park and aquatic centre in town. There are 9 golf courses within a 40kilometre radius of the house. 3 major ski fields. 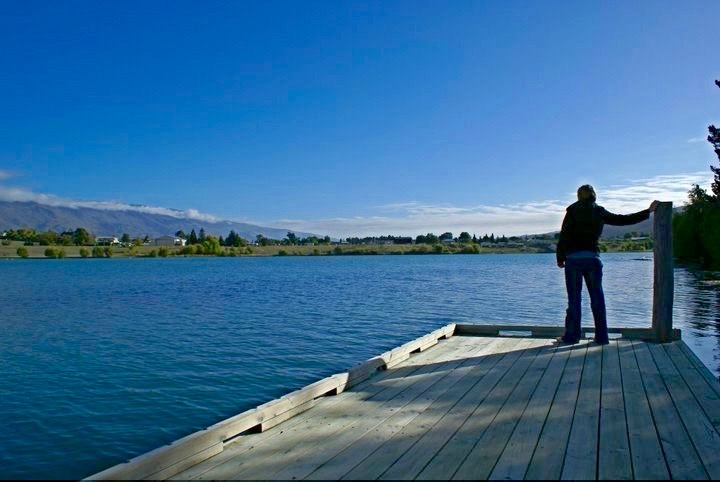 Numerous outdoor activities… mountain biking, whitewater rafting , gold panning boating and fishing, to name a few. In addition we have pet goats and alpacas and llamas on an adjacent property. They enjoy attention so don’t be shy. Get in contact with us today to book your dream Holiday Home!